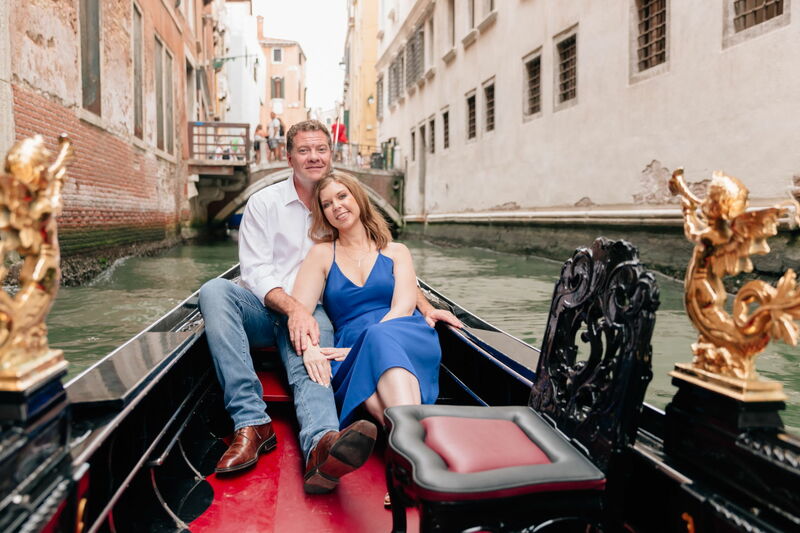 Sheri and Mark from Texas prepared their honeymoon Italy in advance. 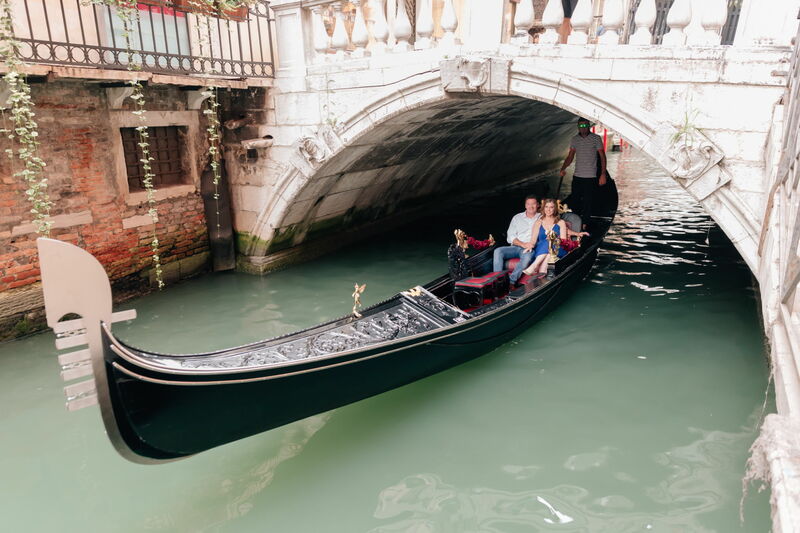 They were going to visit Rome, Florence, Cinque Terra and in the last Venice. 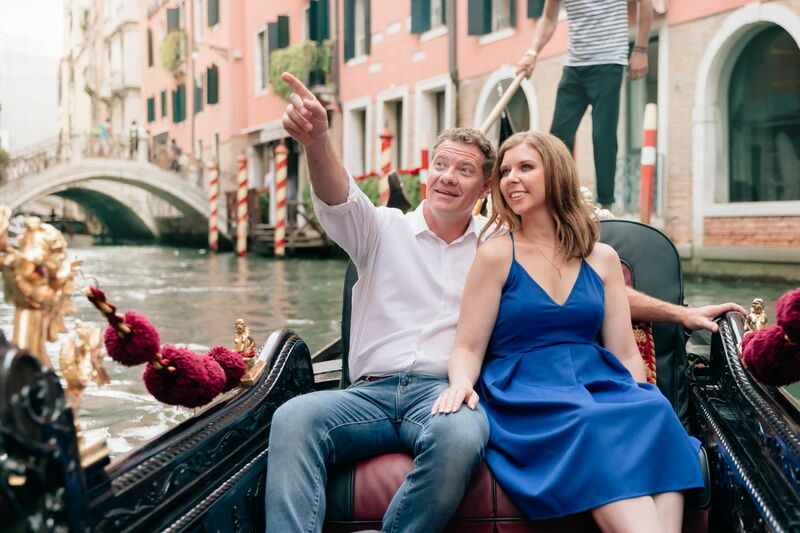 A big vacation! 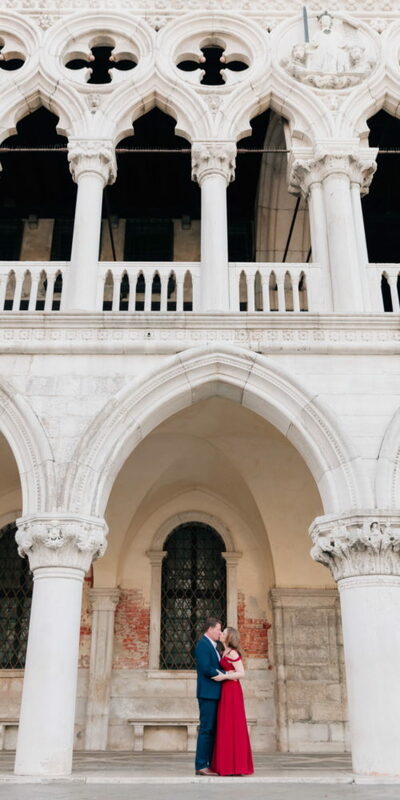 In addition, it was summer, a high season in Europe. 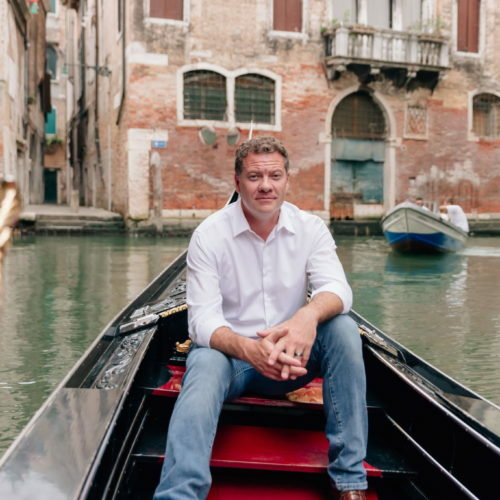 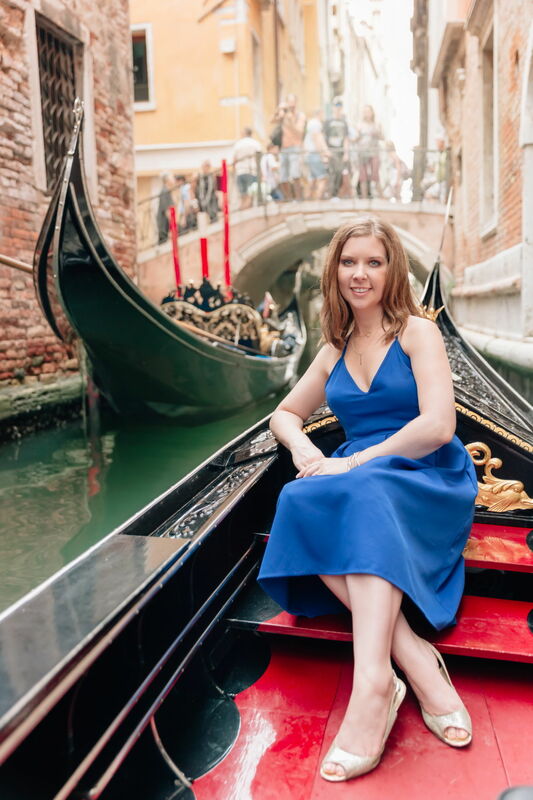 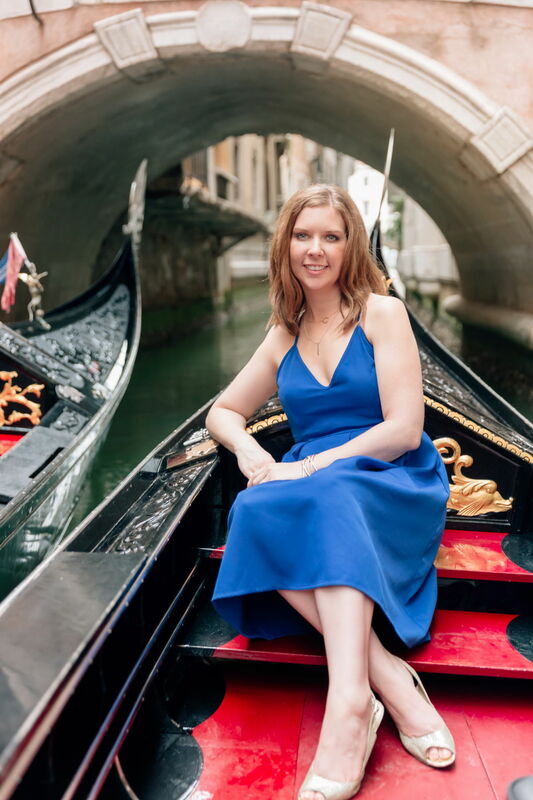 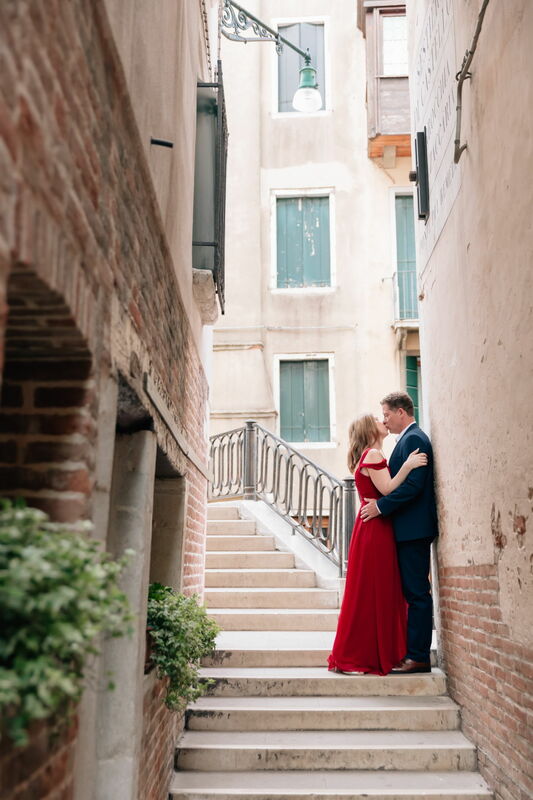 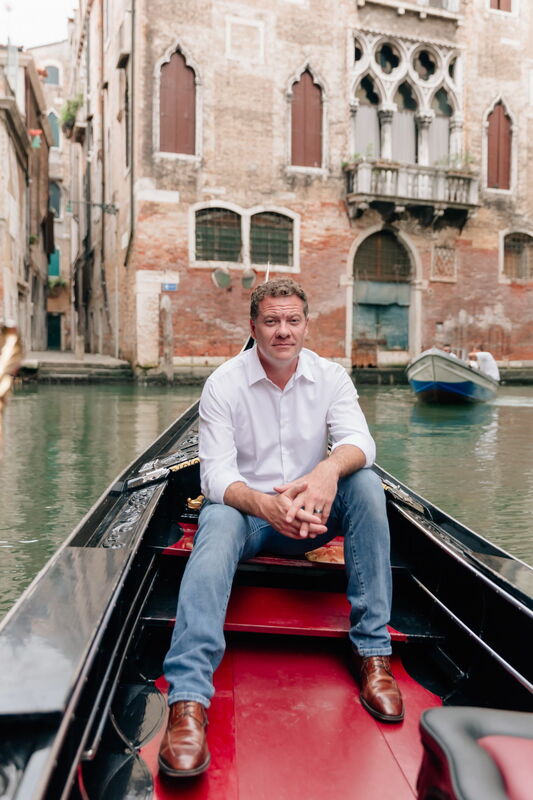 So it was a really good idea to find a photographer in Venice a few months before. 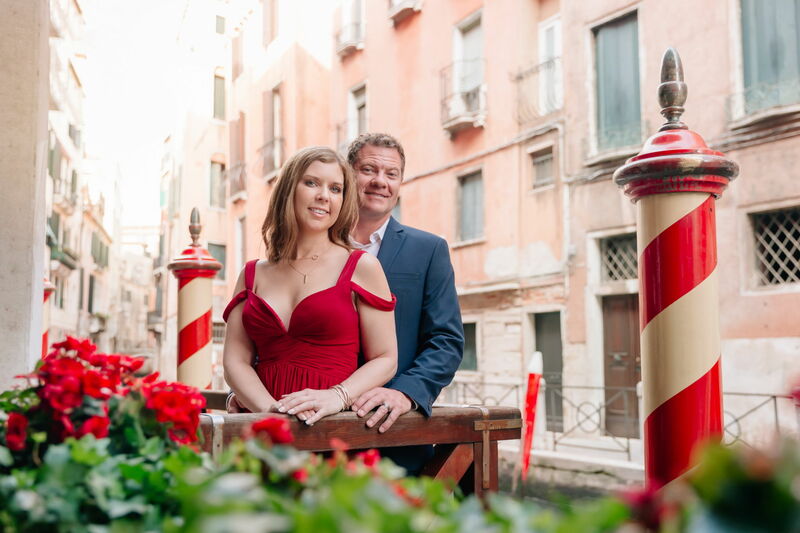 Moreover, in such a way, they received an early booking discount. 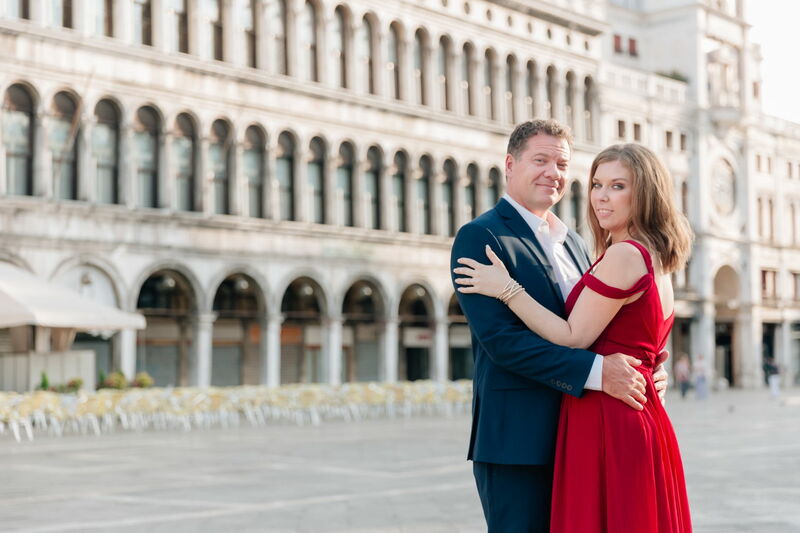 Alexander and I met the guys on St. Mark square and we took awesome photos on empty streets with wonderful sunlight which we can catch only in early morning hours in summer. 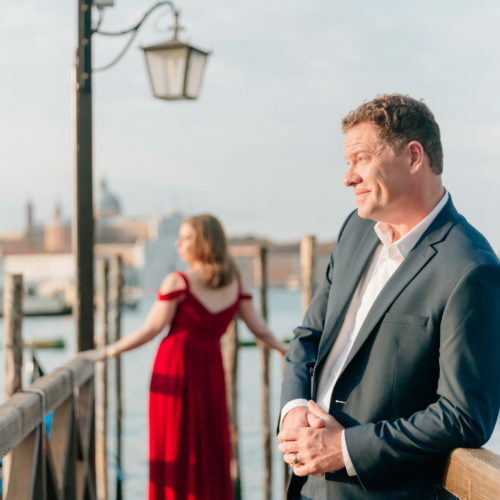 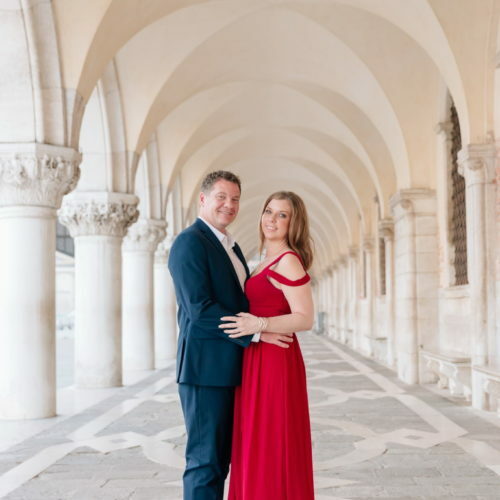 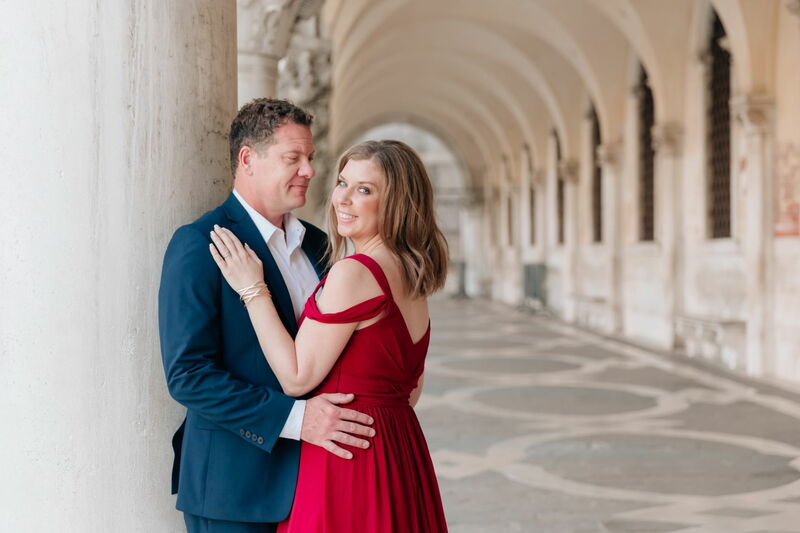 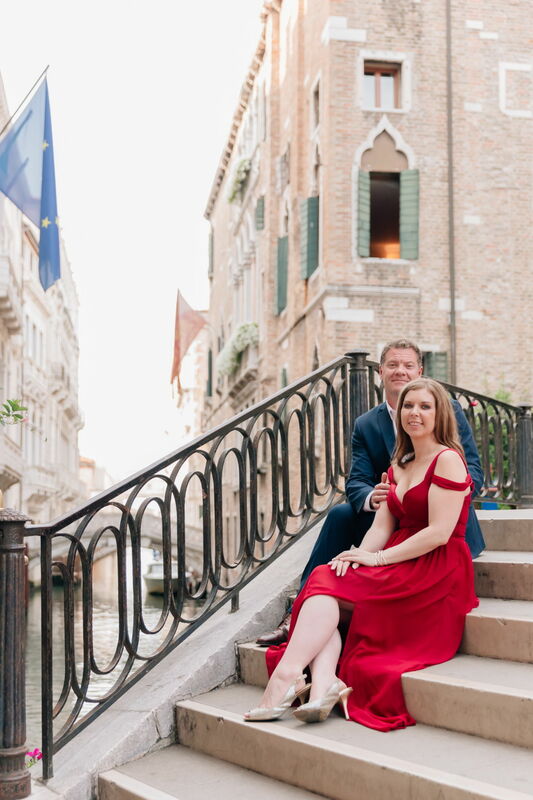 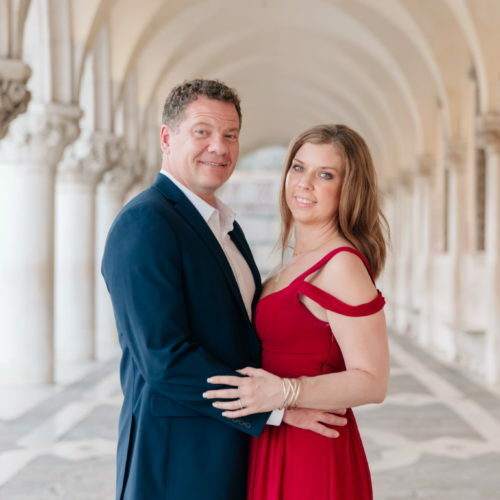 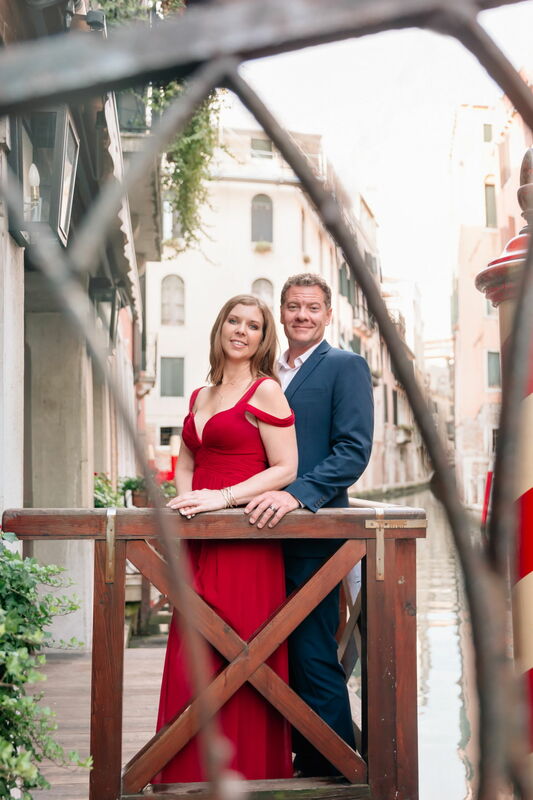 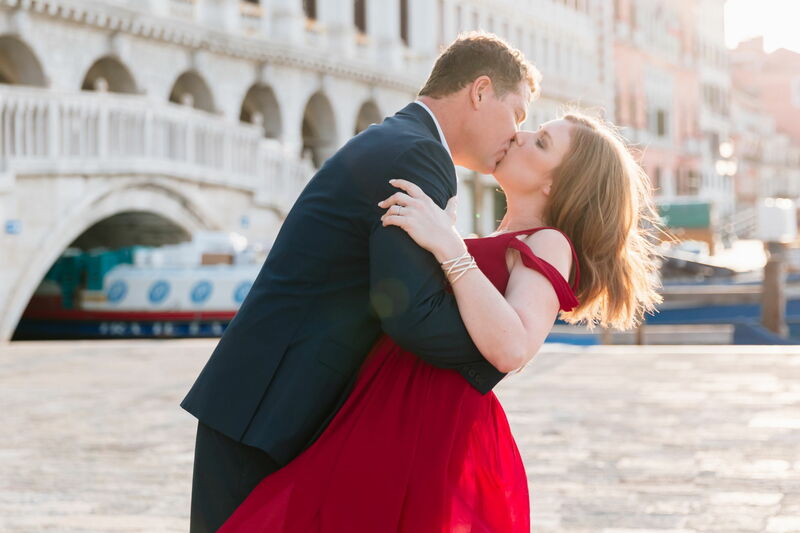 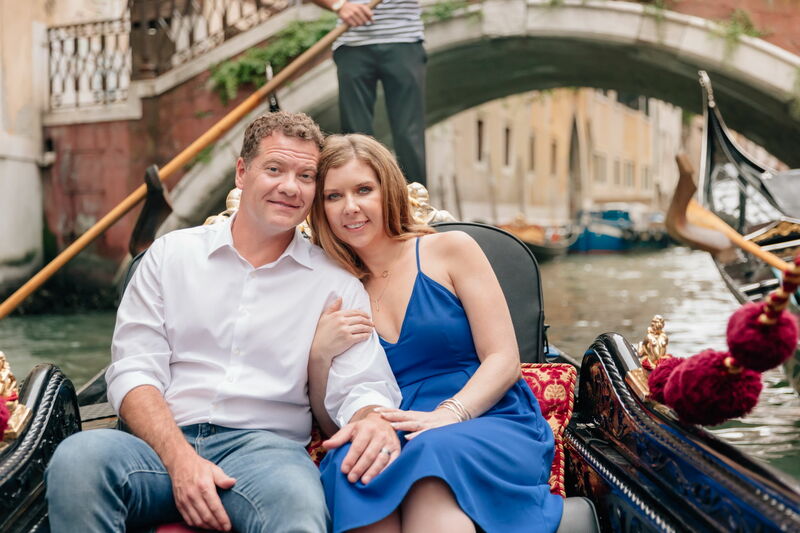 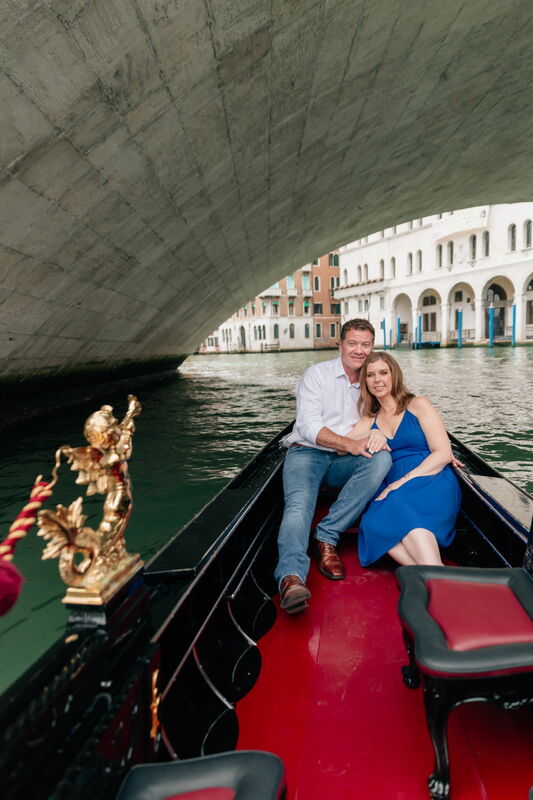 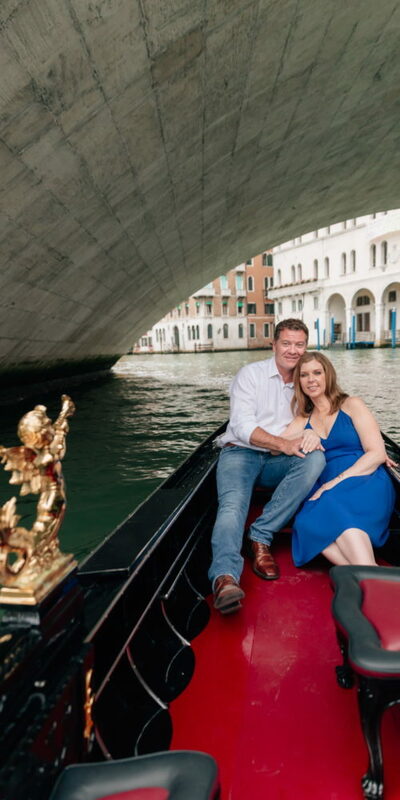 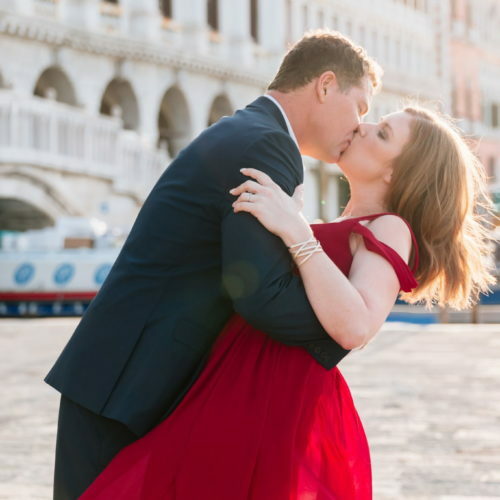 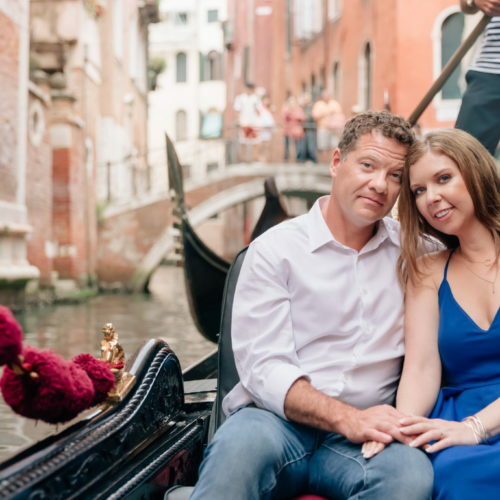 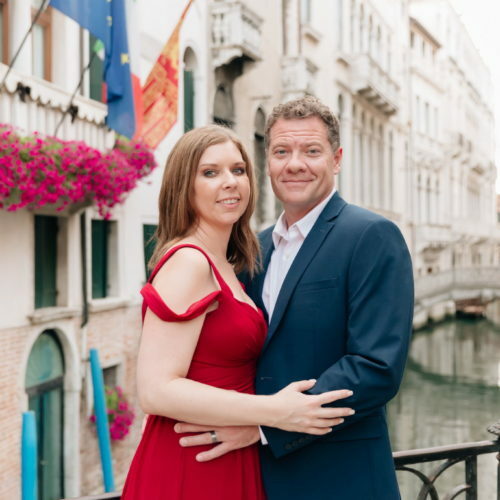 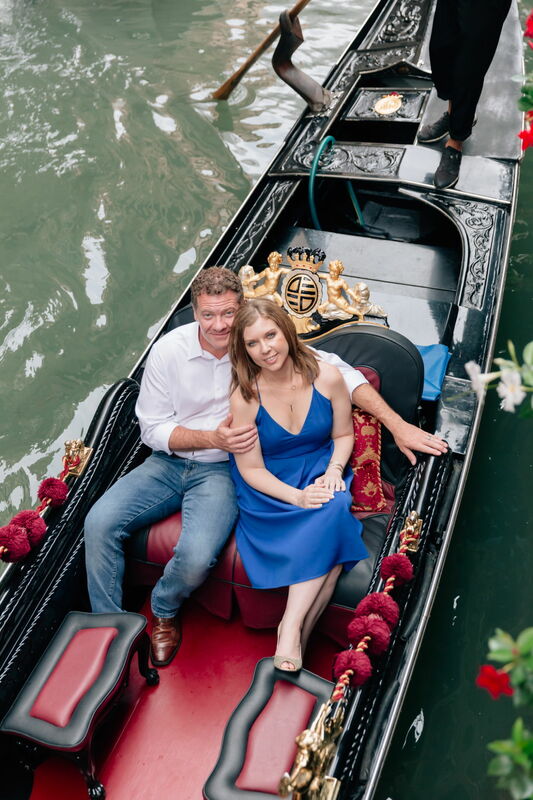 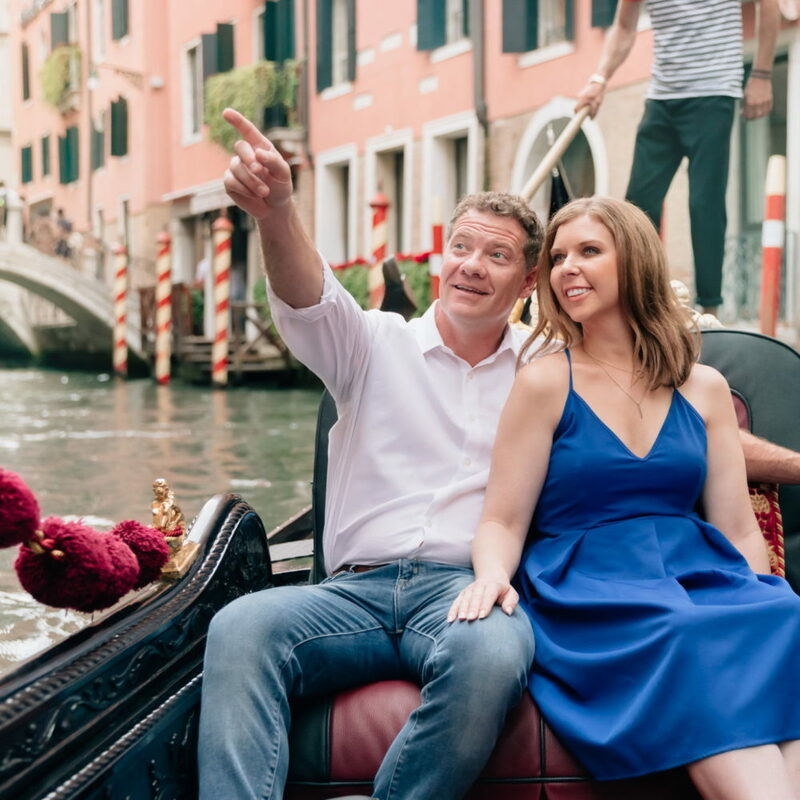 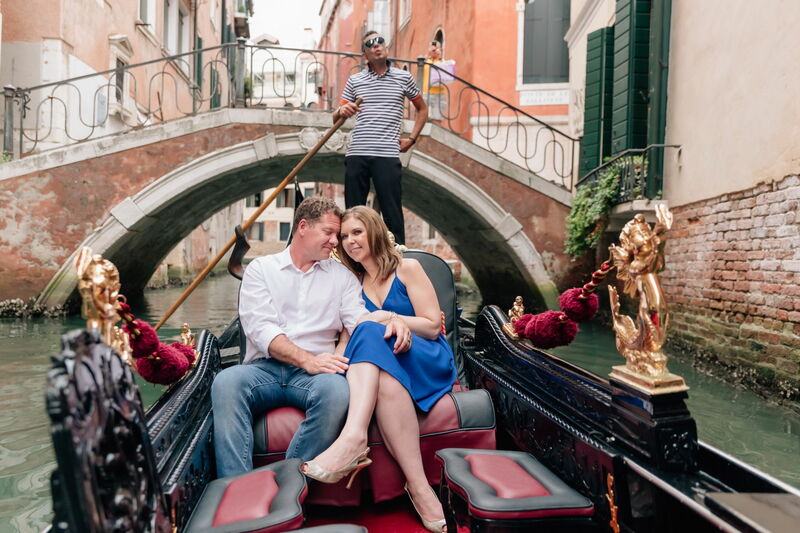 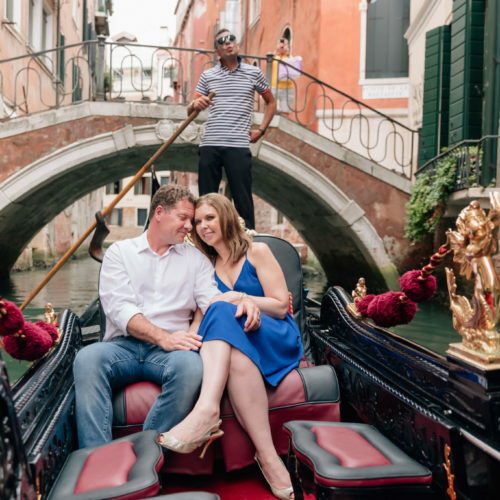 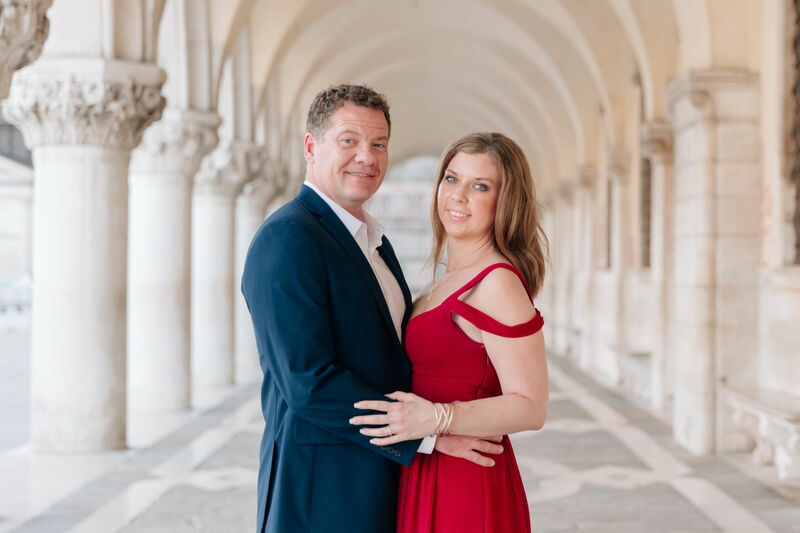 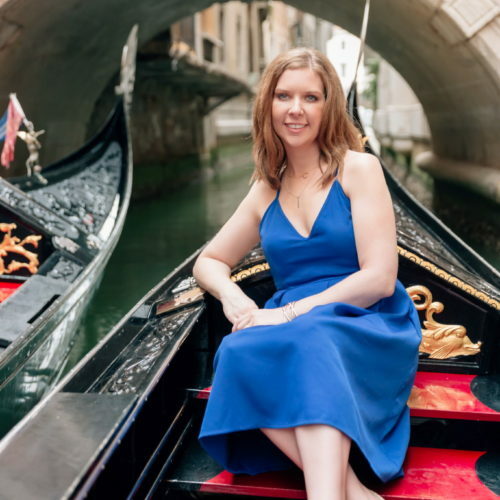 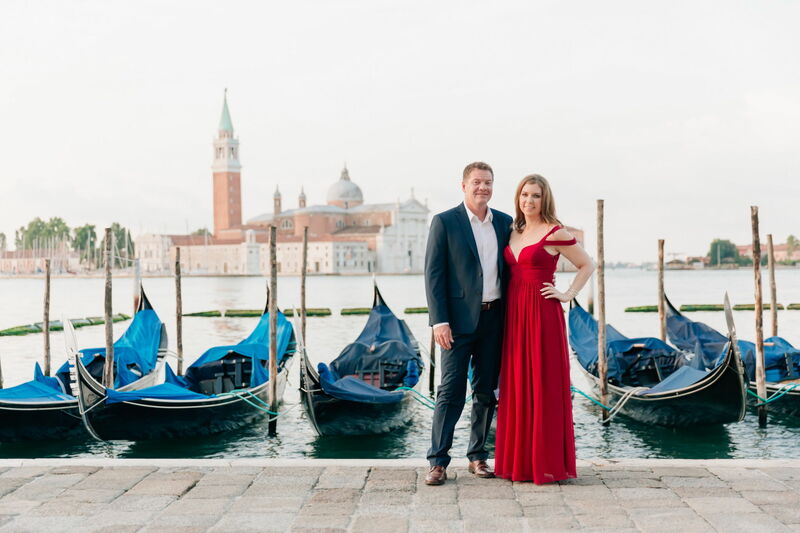 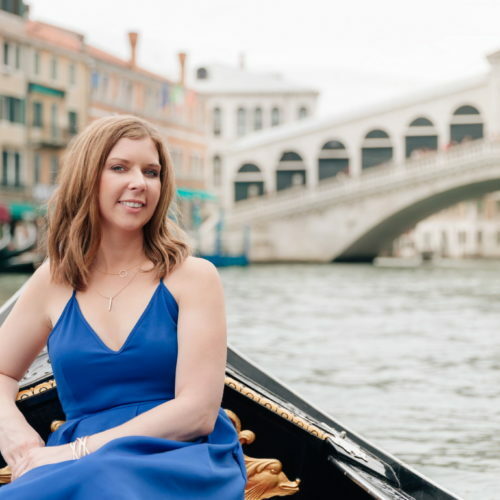 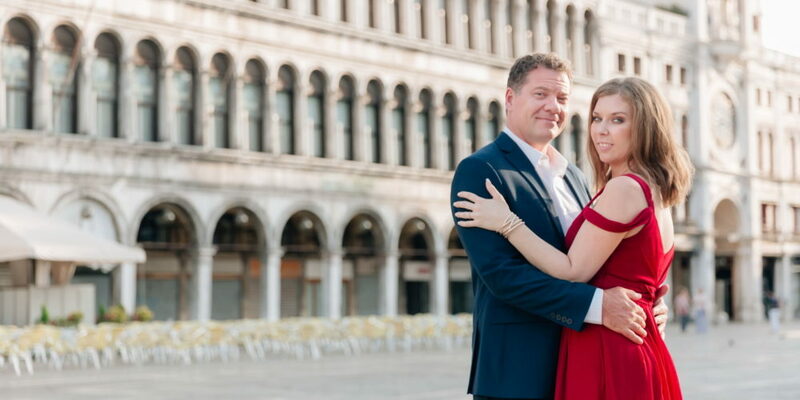 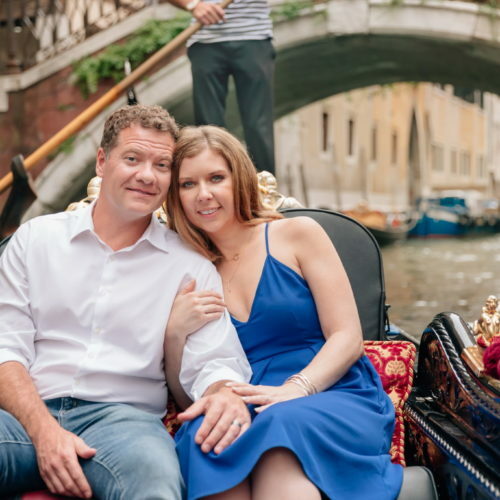 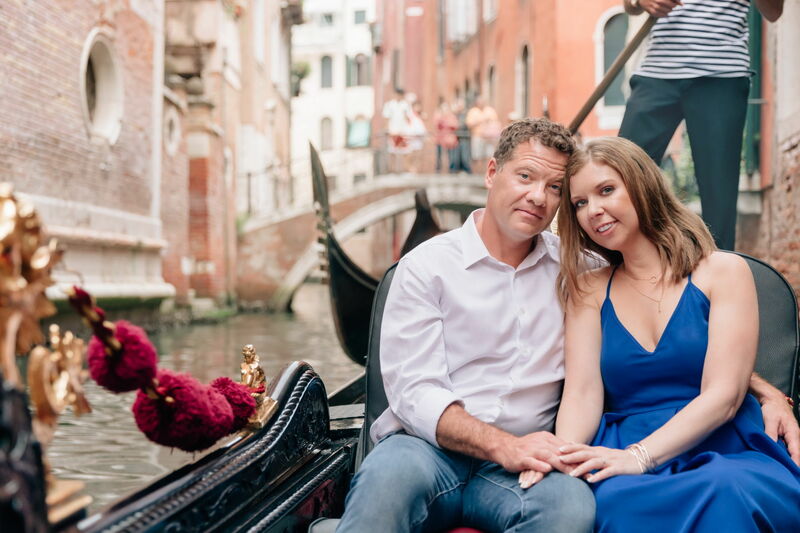 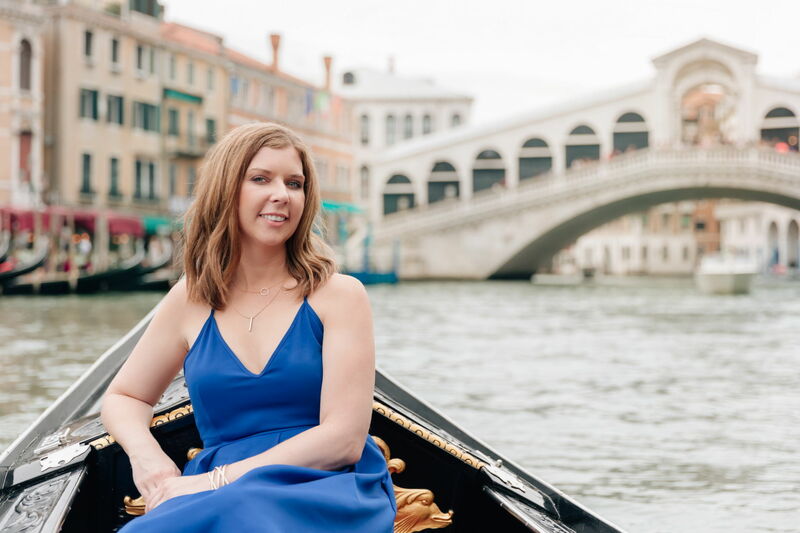 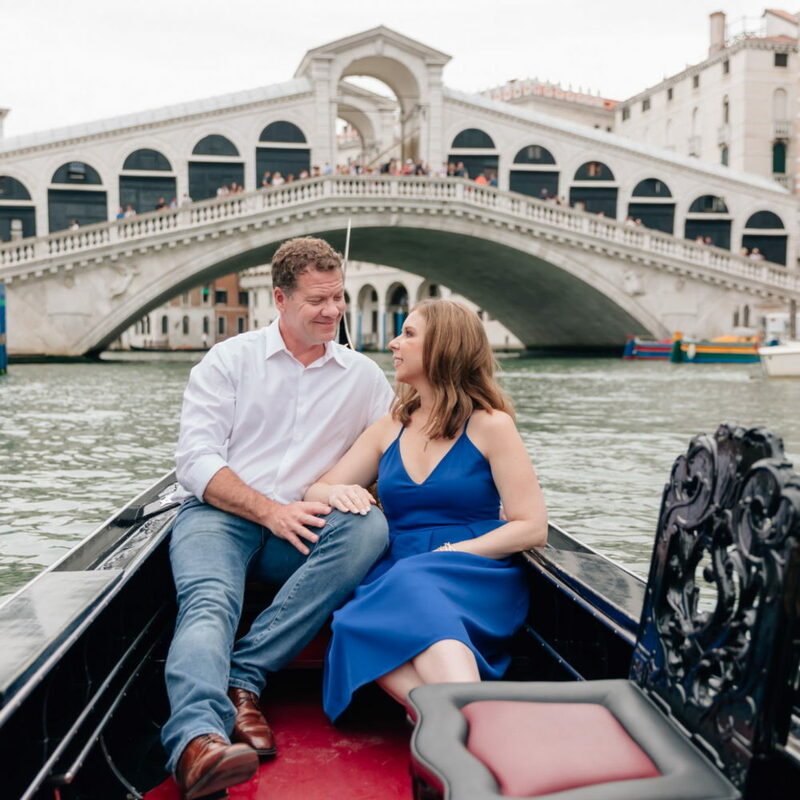 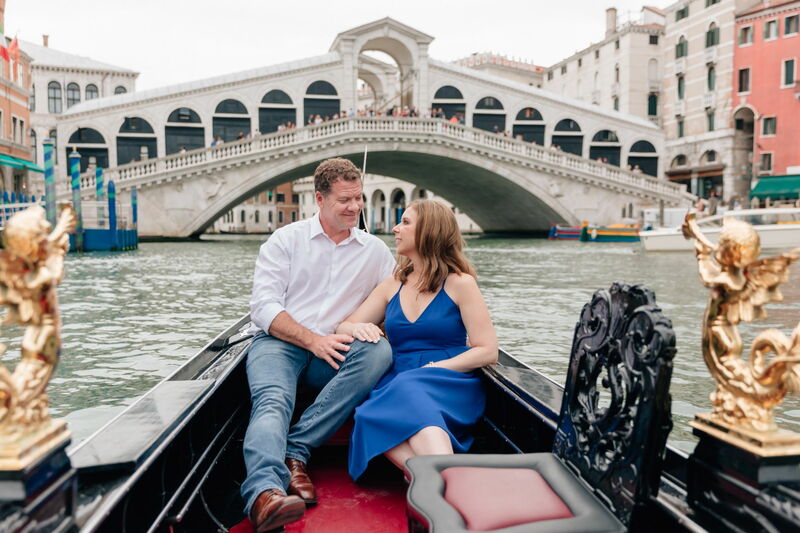 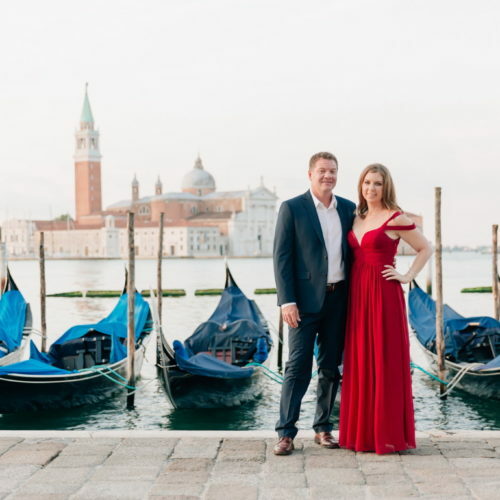 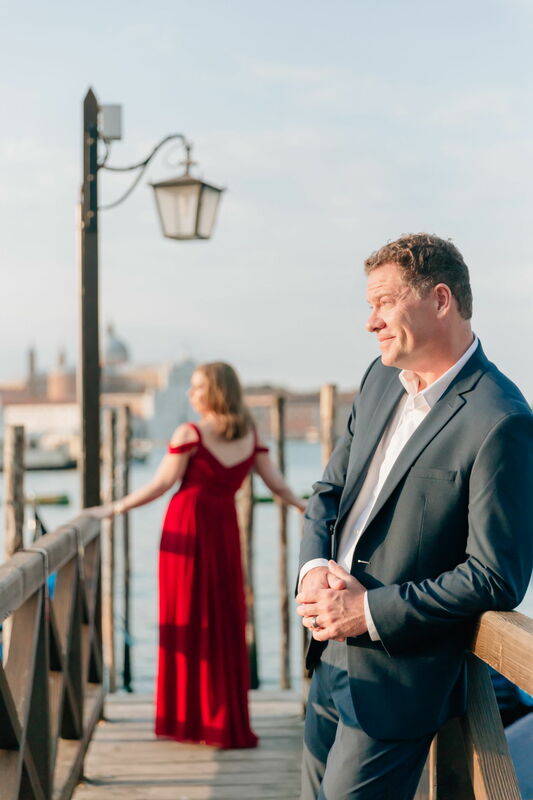 Sheri and Mark changed their outfits for the second part of shooting and we hired a beautiful gondola ride which included the Grand channel, Rialto bridge, and fab small channels of Venice. 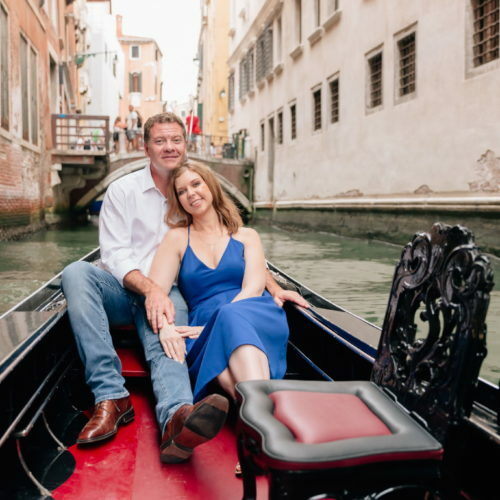 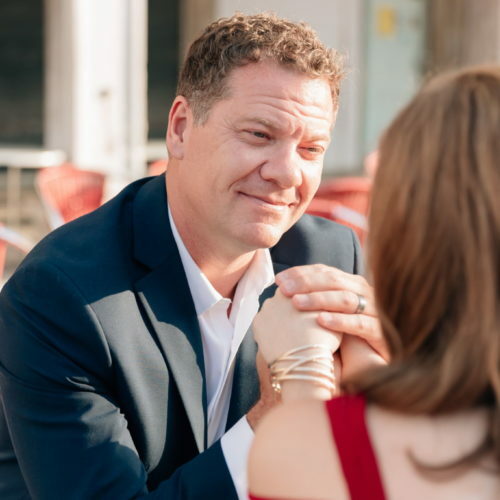 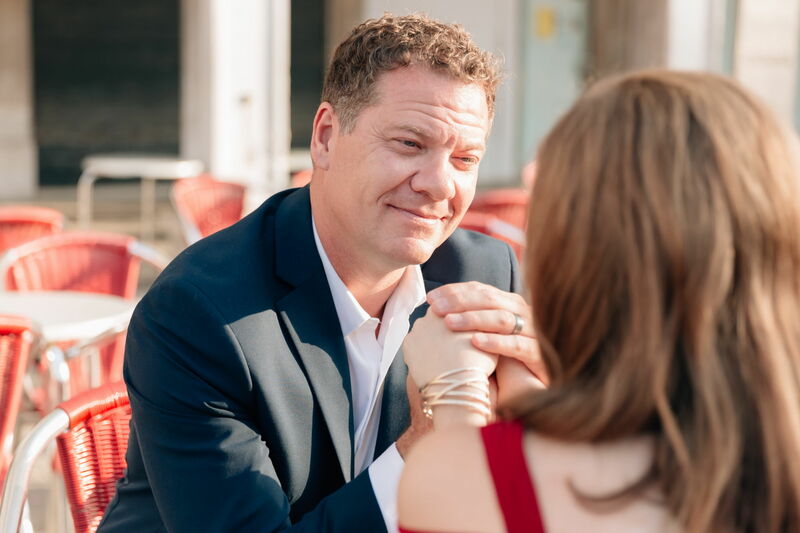 Of course, I can tell about this shoot more and more, however, it’d be better if you read the testimonials of Sheri and Mark (below the photos) where guys write not only about their love of pics but also about shooting time. 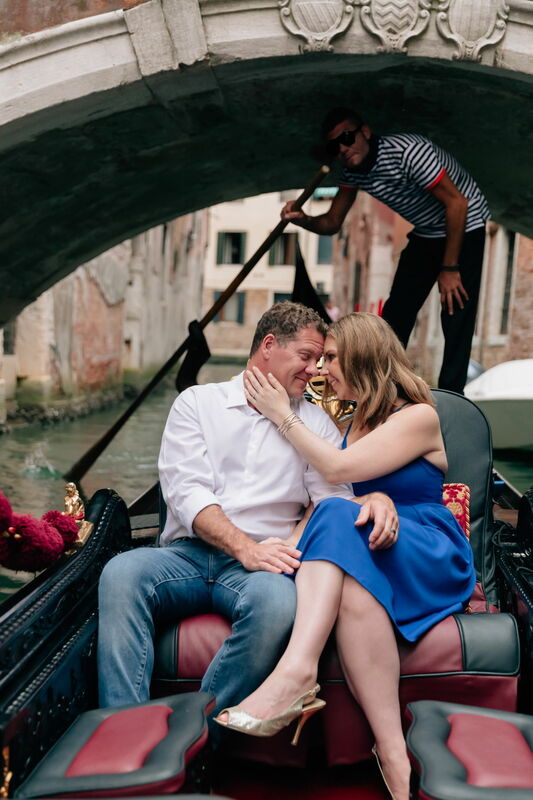 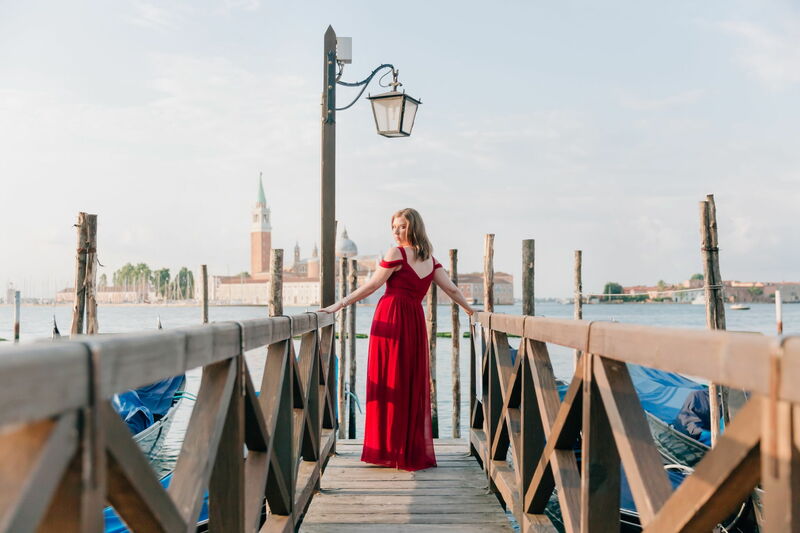 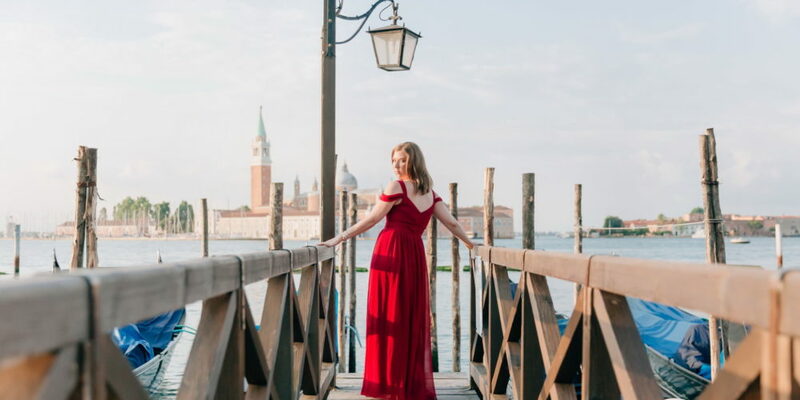 Because in our opinion, the fun time and good mood during the photo shoot is an essential part of your sweet memories in Venice as well. 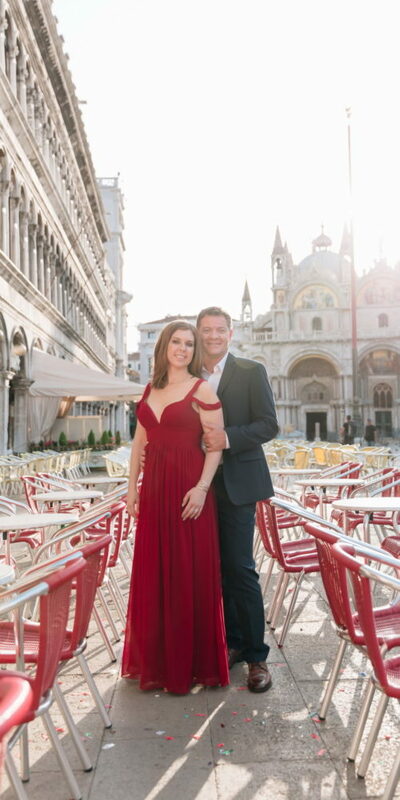 Eva and team are absolutely amazing! 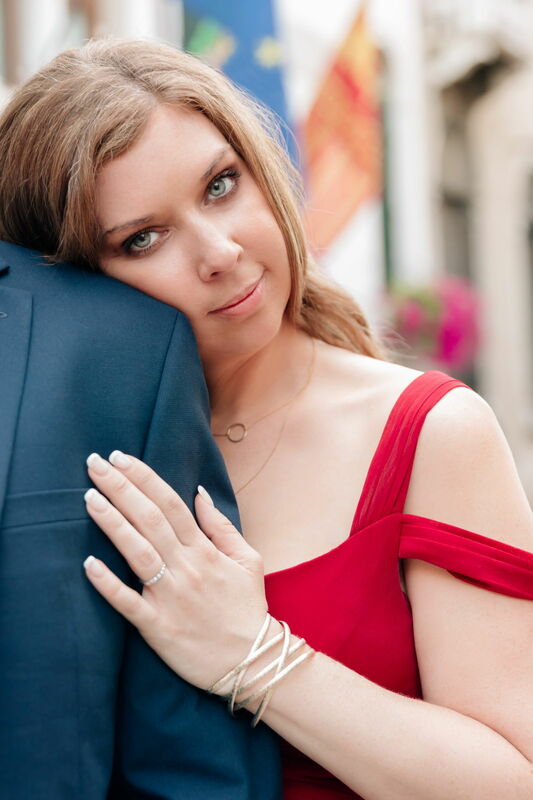 She brought us to the most beautiful sites and exceeded our expectations with quality of photos and her artistic eye. 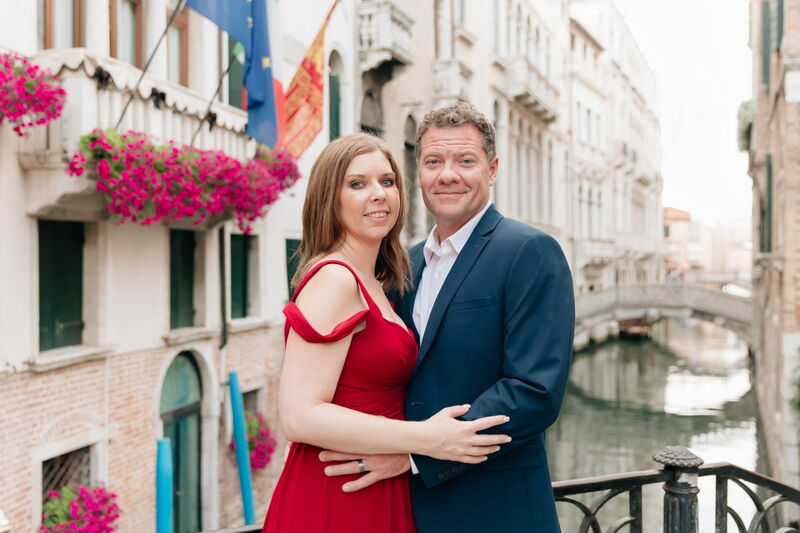 She took time to pose us for optimal photos as well as made us laugh and was easy to work with. 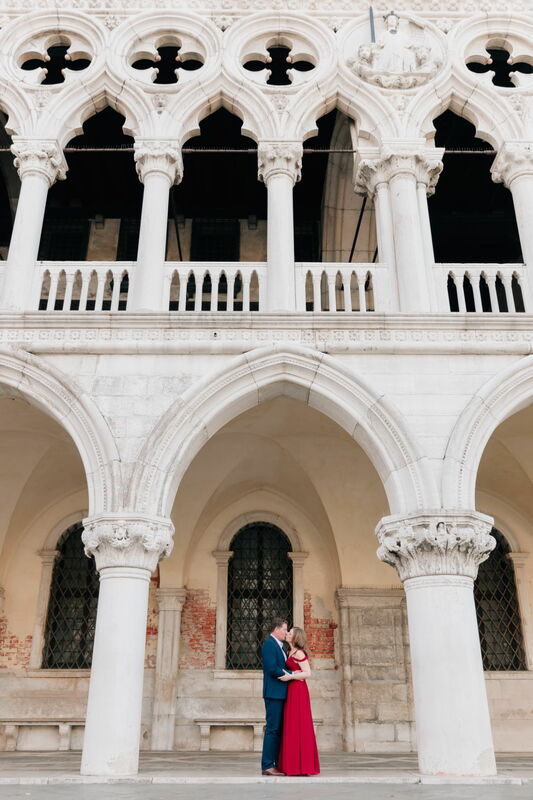 She and Alex worked very hard and moved quickly to get the best possible lighting and angles. 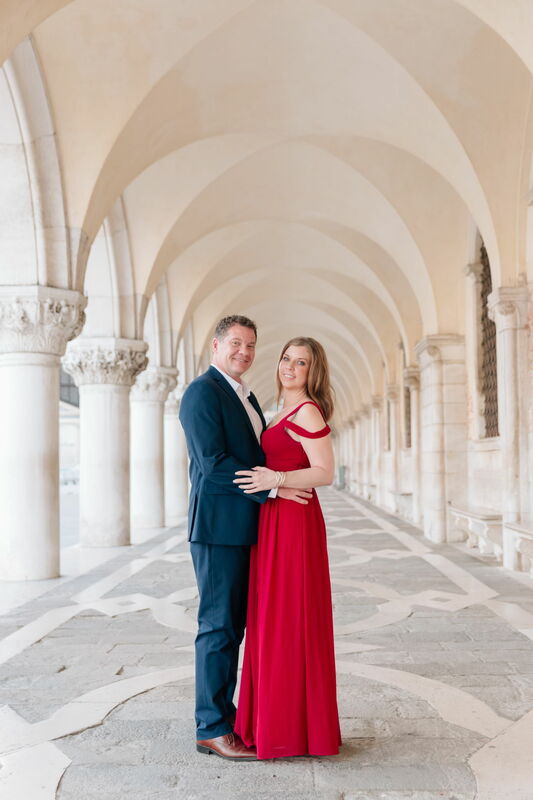 We have had many photo sessions and were pleasantly surprised and impressed with the gorgeous gorgeous artistic photos. 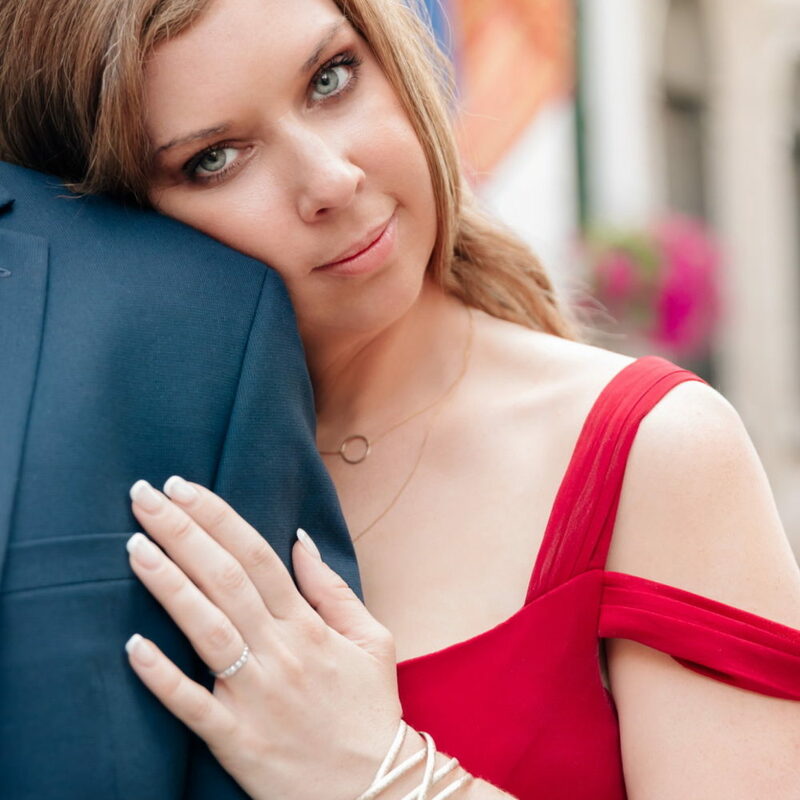 I have people asking who my photographer is for a referral and I have never had that happen before. 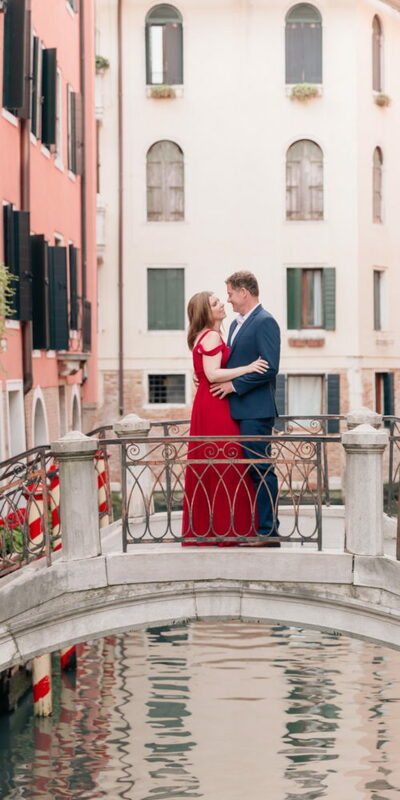 You will NOT be disappointed with the quality and sill set of this photographer.